Less than two months ago, I reported that Zavon HInes had left Chesterfield for Bromley after an injury plagued year with the Derbyshire club. A week and a half after playing against Bromley, he lined up for them against Gateshead in the National League. That was on 8th December but injury kept him out until Boxing day when he was used as a substitute at Sutton United. That was the first of five sub appearances between then and 8th January, since when he’s not been involved. Today came the explanation from Hines himself via Twitter. He wrote: “The past few weeks have been the toughest of my career. I had to make one of the hardest decisions of my life and even now as I write this message I’m still in tears. But after getting medical advice and with a broken heart, I’m going to retire from professional football immediately. Zavon celebrated his 30th birthday four days before the end of 2018, but he has suffered a number of injuries in recent years, starting with a cruciate injury he suffered while at Dagenham & Redbridge. He was with us for just one year after signing from West Ham with his only starts coming in League Cup games against MK and Cardiff. 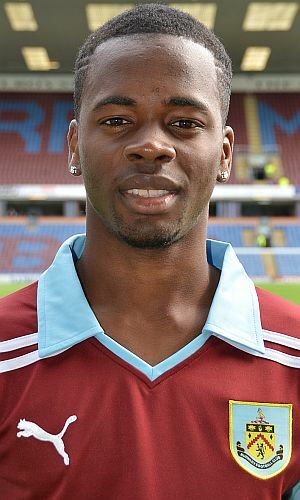 He made a total of 13 substitute appearances in the Championship for us, the last of which coming at Southampton in February 2012, coming on for Ben Mee in a 2-0 defeat. He returned to Burnley for pre-season training but on 17th July we confirmed he was leaving the club. He went to Bradford City initially and has since played for Dagenham & Redbridge, Southend, Maidstone, Chesterfield and finally Bromley.